This case study summarizes the events leading up to and following a fatal boating accident on Florida's intracoastal waterway. It illustrates the role of blood alcohol back-extrapolation and weight-of-evidence (WOE) in an alcoholic impairment assessment and demonstrates how behavior and judgment on the part of the defendant can be considered as evidential in a toxicological analysis. A man was operating a 29-foot center console fishing boat equipped with twin 250 hp engines in the intracoastal waterway near the mouth of John's Pass in Madeira Beach, Florida, with two passengers on board. Prior to the accident, the man had grounded his boat deeply onto a known sandbar and requested assistance. After a tow vessel had arrived and the boat had been freed, the captain noted that the man appeared to be operating his boat unsafely and erratically. 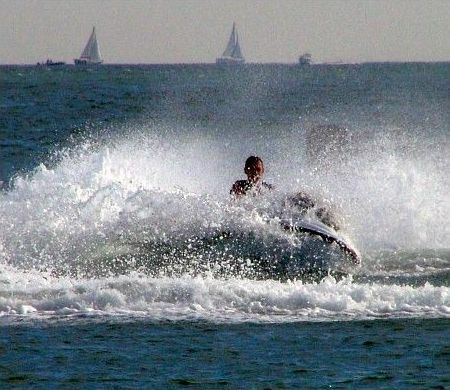 Shortly afterward, the man entered John's Pass at a high rate of speed and collided with a slow-moving personal watercraft (jetski) carrying two passengers. Both passengers were dismembered and killed. The man did not stop after the impact, but instead continued to travel west until another vessel came alongside his boat and ordered him to stop. Although he anchored his boat, he made no effort to assist the injured passengers in the water. He claimed he was unable to maneuver due to the right engine being damaged. Witnesses stated that a woman on the boat was seen dumping something out of a bottle near the back of the boat while the other two passengers were seen scurrying about in the cockpit. Several witnesses also reported observing the man drinking multiple bottles of water immediately following the accident and prior to the arrival of law enforcement personnel. Upon arrival at the accident scene, the attending officer noted bloodshot eyes, slurred speech and an alcoholic odor emanating from the man's breath. An inspection of the boat's cooler revealed 11 empty beer bottles. The attending officer further noted that the man's statements with respect to pre- and post-accident events were inconsistent with statements from witnesses. These facts collectively constituted probable cause to suspect that the man was under the influence of alcohol at the time of the crash. The man refused to perform any field sobriety tasks, but consented to blood draws (which were obtained two and three hours after the accident). The man subsequently stated that he had consumed "two or three beers" throughout the day and that the last was consumed two to three hours prior to the accident. The man was taken into custody and subsequently charged with DWI and leaving the scene of an accident. Medical Examiner's postmortem reports of accident victims. Grounding defendant's boat on a sandbar to the degree that a tow boat was required to extract it is highly suggestive of reckless operation (even twin outboards totaling 500 hp could not back the boat off of the sandbar). The captain of the tow boat also stated that defendant followed him recklessly at high speed following extraction from the sandbar. Defendant's boat was observed to be "maneuvering aggressively" toward another boat minutes before the crash. Additionally, defendant's boat maintained its speed as it approached the idle-speed jetski. This is, in itself, highly suggestive of impaired driver perception (it is always incumbent upon the pilot to avoid slower craft in convergence situations regardless of size). Defendant's boat continued to travel at the same rate of speed after impact until told to stop by another vessel. It was further noted that defendant's boat was equipped with twin engines and defendant claimed the 2nd engine had been damaged. In reality the 2nd engine was not damaged, nor would it have mattered as defendant continued to leave the accident scene using the other engine until ordered to stop. All of this strongly suggests impairment of both perception and judgment. Defendant's boat crossed into the channel at 25-30 mph even as the jetski approached from the right. This is a clear violation of power boat navigation rules and suggests a lack of awareness manifesting as a callous disregard for the safety of others. The attending officer noted in his report that there was no proper look-out on defendant's vessel as required by Coast Guard Inland Navigational Rule #5. Additionally, defendant violated Coast Guard Inland Navigational Rule #15 which states: "When two power-driven vessels are crossing so as to involve risk of collision, the vessel which has the other on his starboard (right) side shall keep out of the way and shall avoid crossing ahead of the other vessel." The objective scientific evidence revealed two post-crash blood alcohol levels (0.0765% at 2 hrs and 0.0556% at 3 hrs). Based upon generally-accepted metabolic rates, the degree of ethanol loss could be calculated. Dr. Sawyer determined that defendant eliminated 15,039 mg of ethanol between the time of the accident and the 1st blood draw and a total of 21,660 mg between the time of the accident and the 2nd blood draw. Both blood tests yielded approximately the same result of 0.11 g/dL (0.11%) BAC and 0.12 g/dL (0.12%) BAC at the time of the accident. Based on the totality of available information, the blood analyses performed by law enforcement and the weight-of-evidence relating to defendant's conduct, Dr. Sawyer was able to determine, to within reasonable toxicological certainty, that defendant was legally intoxicated at the time of the accident and that defendant's intoxication substantially contributed to the fatal boating accident. Defendant's blood alcohol level (BAC) of approximately 0.11% (0.11 g/dL) at the time of the accident placed his intoxication level in the "Marked Intoxication" range. This characterization was consistent with defendant's unusual behaviors as noted by police and witnesses. Defendant was charged with leaving the scene of a boating accident involving injury and/or death (two counts), and boating under the influence-manslaughter (two counts), by the Circuit Court for the Sixth Judicial Circuit of Florida. A civil jury found defendant and his insurance carrier liable for damages and awarded approximately 1.5 million dollars and an additional $500,000 in punitive damages to the families of the decedents. Coincidentally, Dr. Sawyer is a highly experienced navigator within Florida's intracoastal waterways and operates a boat similar to that of defendant. Dr. Sawyer noted in his report that these are potentially dangerous waters and that all boaters must be on guard against hidden shallows, sandbars, manatees, underwater obstructions and (in particular) other boats. Defendant clearly failed to demonstrate the prudent and responsible degree of attention required to safely navigate these waters. Goldfrank, et al., "Goldfrank's Toxicologic Emergencies," Fifth Meditation, 1994, Appleton & Lange, Norwalk, CT, pg. 814. 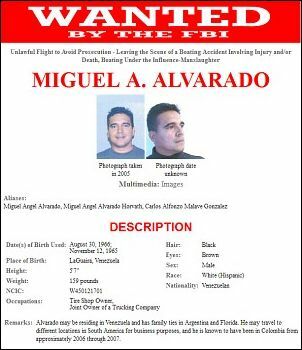 Federal Bureau of Investigation, "Wanted: Miguel A. Alvarado," U.S. Department of Justice, 2006. "A toxicological assessment of alcohol intoxication requires application of objective scientific methods. Demonstrating causation can involve showing behavior and judgment on the part of the defendant consistent with impairment."